Belvoir Glycerine Tack Conditioning Soap is Step 2 of tack cleaning and should be used after Belvoir Step 1 saddle soap. This tack conditioning soap conditions, preserves and shines saddlery and leather to prolong the life of both old and new leather. Belvoir Conditioning Soap should be used to keep leather supple and coats the leather in a protective finish to protect against dirt, grease and water. 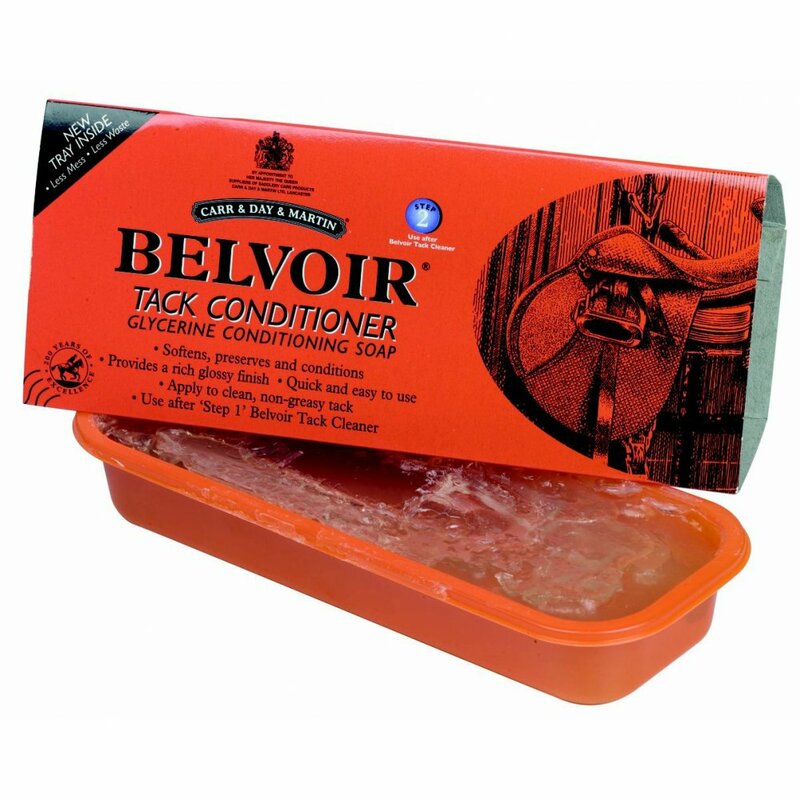 Belvoir Glycerine Tack Conditioning Soap is a pure, quality soap bar in a resealable tray for convenience, containing both coconut oil and glycerine to seal and condition your saddlery and leather. Apply this conditioning saddle soap to clean leather and rub into the leather with a sponge or cloth, once dry polish off with a dry cloth. Belvoir Tack Conditioning Soap is not suitable for use on aniline or untreated leather, suede or nubuck.